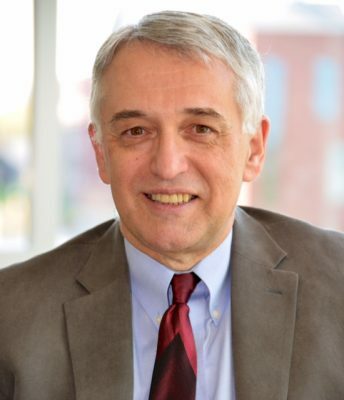 James O’Neil, Ph.D. is Professor of Educational Psychology and Family Studies at the University of Connecticut and a licensed psychologist in private practice in South Windsor, Connecticut. In 1975, he received his doctorate from the Department of Counseling and Personnel Services at the University of Maryland. He is a fellow of the American Psychological Association in Divisions 17, 35, 43, 51, 52, & 56. He is one of the founding members of the Society for the Psychological Study of Men and Masculinity (SPSMM), Division 51 of the American Psychological Association. SPSMM named him Researcher of the Year in 1997 for his 20-year research program on men’s gender role conflict. His research programs relate to men and masculinity, gender role conflict, psychology of men and women, and violence and victimization. He has published over 100 journal articles and books chapters and is the author of the Gender Role Conflict Scale (GRCS), a widely used measure of men’s conflict with their gender roles. Over 300 studies have used the GRCS with over 200 of the studies being published in psychological journals. He published (with Michele Harway) What Causes Men’s Violence Against Women? in 1999 (Sage Publications) and his last book , Men’s Gender Role Conflict: Psychological Costs, Consequences, and an Agenda for Change was published in November, 2014 by APA Books. In 1991, he was awarded a Fulbright Teaching Scholarship by the Council for International Exchange of Scholars, to lecture in the former Soviet Union. He lectured at Moscow State Pedagogical University from February through April, 1992, on such topics as psychological counseling, psychology of gender roles, and victimization. In 1995, he was awarded Teaching Fellow status by the University of Connecticut for his outstanding excellence and dedication to the university teaching profession. In August, 2008, he received the Distinguished Professional Service Award from Division 51 of the American Psychological Association for his 25 year research program on men’s gender role conflict and his advocacy for teaching of the psychology of men in the United States. He has advocated professional activism with gender role and social justice issues throughout his 40 years as a counseling psychologist.